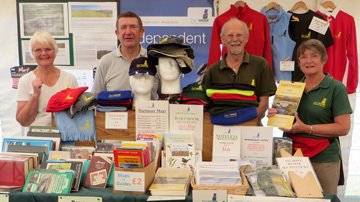 The Dartmoor Preservation Association (DPA) was founded in 1883 to help look after Dartmoor – an area in south-west England which contains some of the finest landscapes in the country. It is one of the oldest environmental or amenity bodies in the UK. 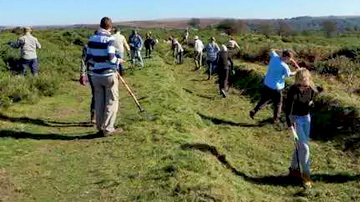 It started amidst concerns that the ancient rights of commoners on the moor were being eroded, and an increasing public interest in Dartmoor’s scenery, archaeology, history and wildlife. The formation of a watchdog organisation was a prudent move at the time and it still has an important role to play today. If you would like to find out more about our history, our Wikipedia page contains a wealth of fascinating information. 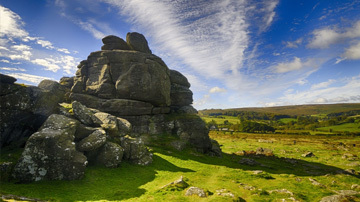 The creation of Dartmoor National Park in 1951 provided a strong assurance of the degree of protection to be afforded to this area and the way that Dartmoor is managed has changed beyond recognition since those early days. However, the DPA still maintains a watchful eye on proposed developments and our members are active in helping to preserve artefacts and to improve habitats. 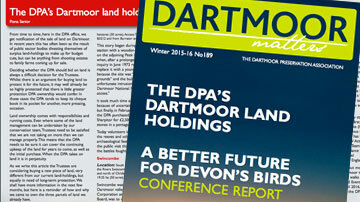 These days, the DPA maintains a strong and close relationship with the Dartmoor National Park Authority and seeks to act in the capacity of “critical friend”. Through our relationships with the authority, and partnerships with many other local organisations, we influence the formulation of policy to manage Dartmoor and participate in actions to conserve its special qualities for posterity. Although the threats to the moor may be more insidious these days, they are none the less real. We hope that you will join us in helping to protect this very special place.